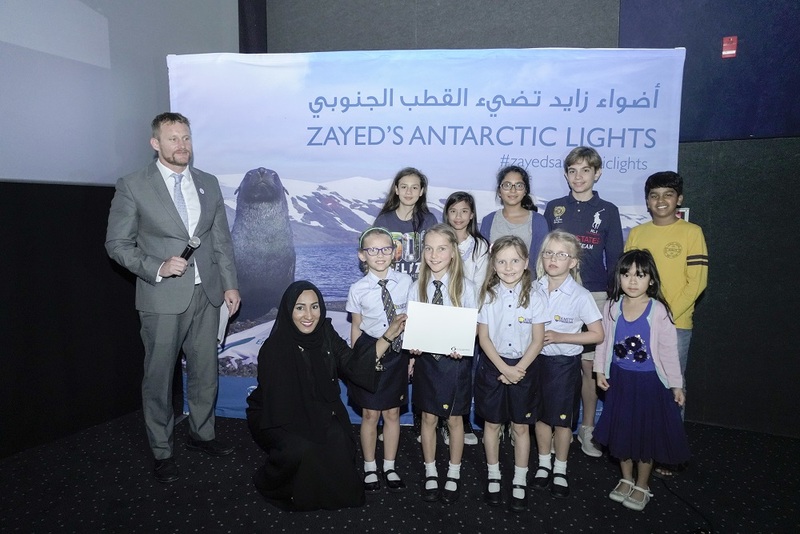 Abu Dhabi, 21 November 2018– On Tuesday 20 November the Environment Agency – Abu Dhabi (EAD) and Dr Jane Goodall’s Roots & Shoots hosted a world premiere of the documentary Zayed’s Antarctic Lights at Vox Cinemas Yas Mall in Abu Dhabi. The documentary follows Team Zayed – EAD staff members Mariam Al Qassimi, Rashed Al Zaabi and Winston Cowie – on their two-week expedition to Antarctica in March 2018. The film opened to a full audience of invited government representatives, local conservationists, and school students. 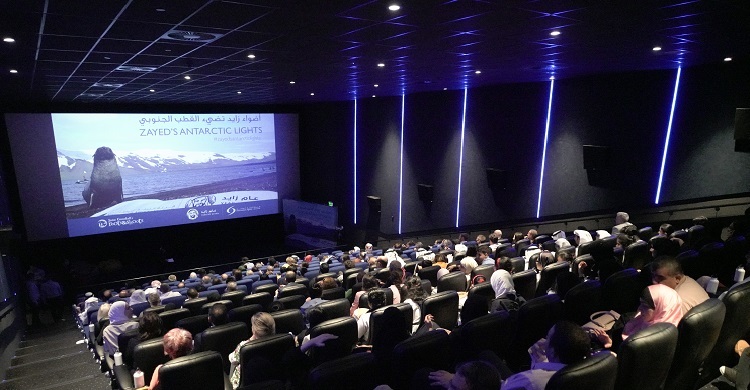 The documentary explored the impacts of climate change on the fragile ecosystem that is Antarctica, and considered what effect climate change could have on the vulnerable ecosystems of the United Arab Emirates. 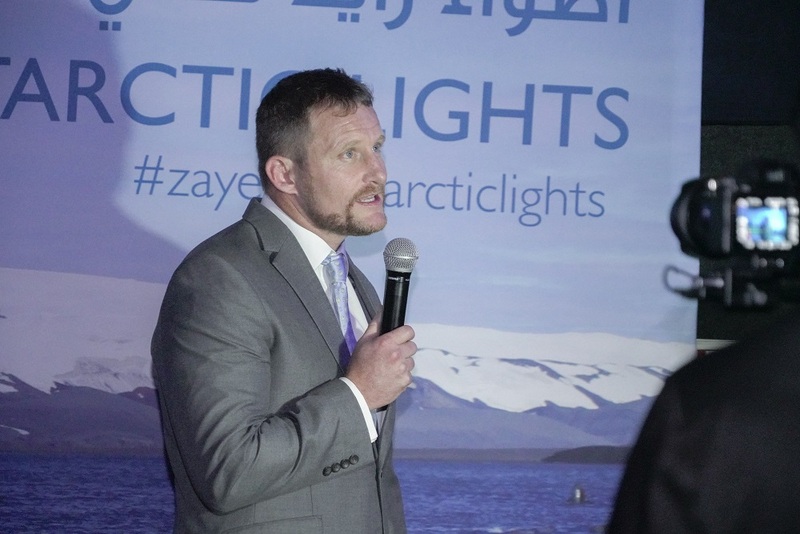 Team Zayed were joined by other teams from over 20 countries for the Climate Force International Antarctic Expedition, which was led by Sir Robert Swan – the first man to walk to both the North and South Poles. 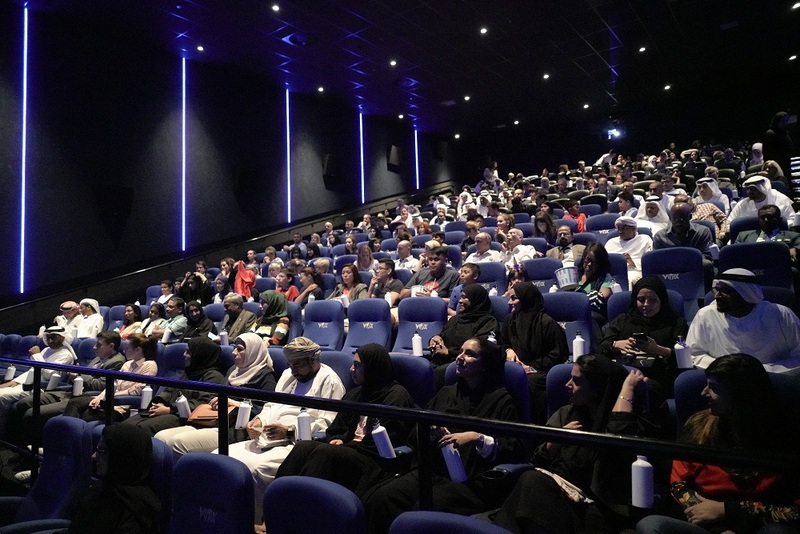 Following the documentary screening and a panel discussion, a number of Abu Dhabi schools were recognised for the fantastic efforts of their students to reduce single-use plastics and other waste. The trailer for Zayed’s Antarctic Lights is available on the EAD YouTube Channel.